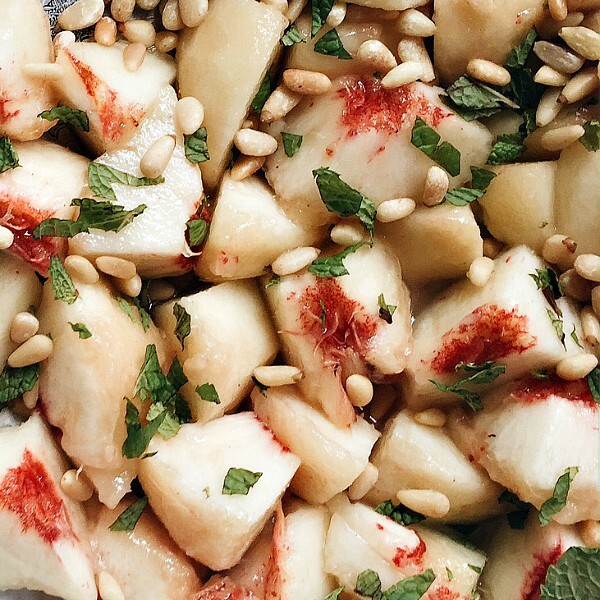 This Peach Mint Salad with Toasted Pinenuts is an elegant summer salad to served, garnished with fresh mint. Perfect for your next dinner party! Focusing on healthy eating, and enjoying the fresh produce of summer, earlier this week I made this Peach Mint Salad with Toasted Pinenuts for a family dinner, and everyone loved it. We have 2 sets of friends visiting us from our hometown (Medford) in the upcoming weekends. We’ll enjoy some healthy meals at home, and probably eat out, too. 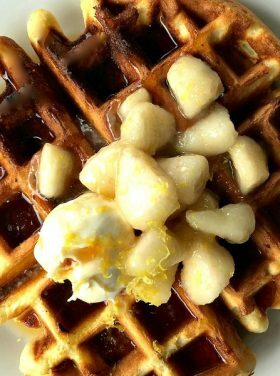 The food scene in Sunriver and Bend is fantastic! 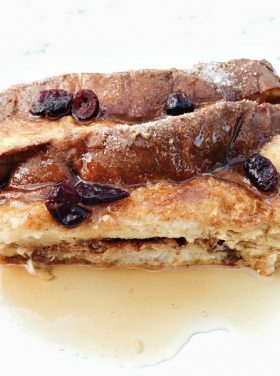 So many awesome restaurants we want to try. We have to pace ourselves though, because eating out adds up quickly! Along with preparing for guests to arrive comes menu planning and cleaning! At least for me, when I know we’ll have weekend guests, cleaning takes a different spin than a casual evening with dinner guests. There’s the bathroom, changing the sheets, picking up … you know how it goes! An AWESOME gift arrived at our new home a couple weeks after we moved in. 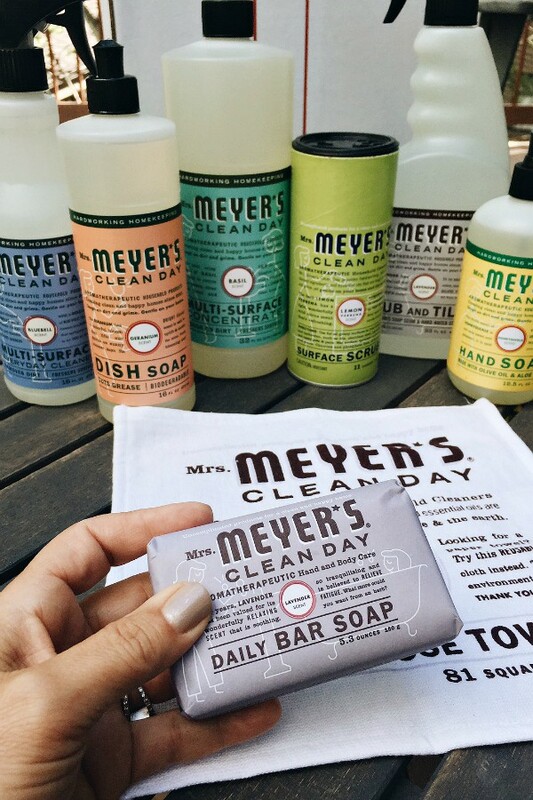 As I opened the package, I saw Mrs. Meyer’s Clean Day! Inside the box was filled with an assortment of cleaning supplies, with different scents. Why have I not thought of this gift idea for a house warming gift? Brilliant! 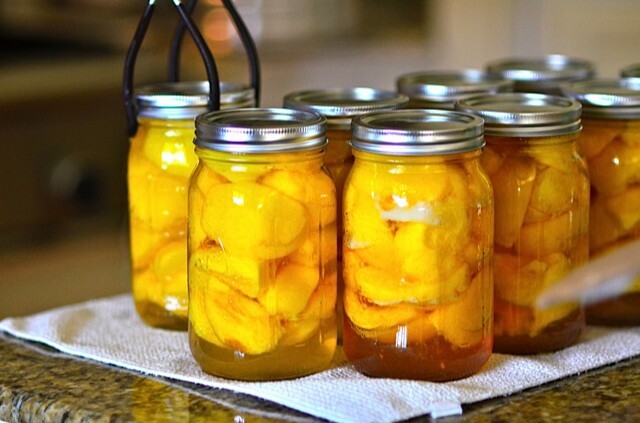 Peach and pear have to be my all-time favorite fruits and scents! 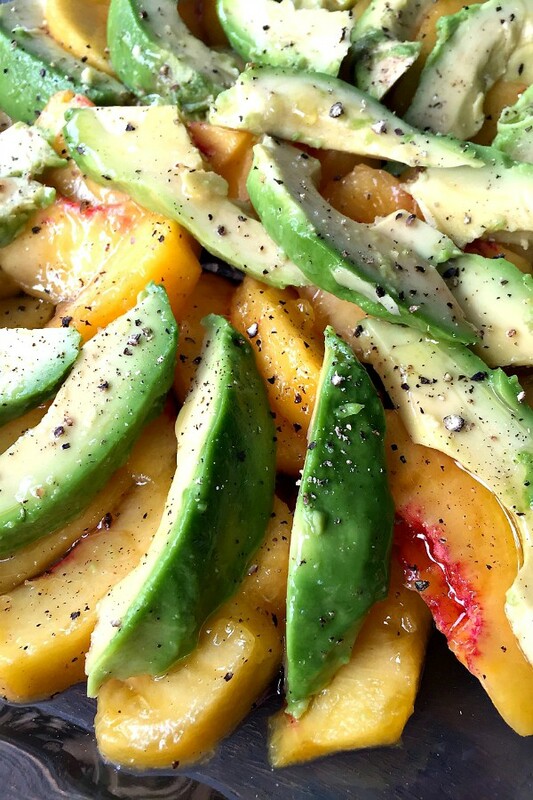 So, with peaches in season right now, this recipe I’m sharing today is also inspired by a recent birthday gift, Audrey at Home: Memories of My Mother’s Kitchen, a book of memories and kitchen experiences and delicious recipes from Audrey Hephern’s son, Luca Dotti. I’ve thoroughly enjoyed the reading of Audrey’s life—somewhat complicated—but gracious, and a lover of good food! Thinking back, I’m pretty sure my mom used to make this same, simple peach salad. Peaches, mint, and a bit of sweetness. Mom was a simple cook, she loved her garden and the orchards in our backyard. She loved peaches, and she taught me how to can peaches! How about serving one of these salads at your next dinner party? 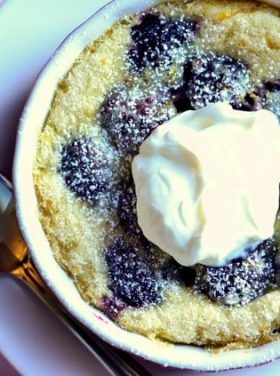 Adapted from Audrey at Home cookbook. In a large bowl, toss the peaches gently with the sugar and lemon. Set aside to marinate for 1-2 hours. Toast the pine nuts (I tossed for 2-3 minutes, turning several times, in the microwave). Cool. 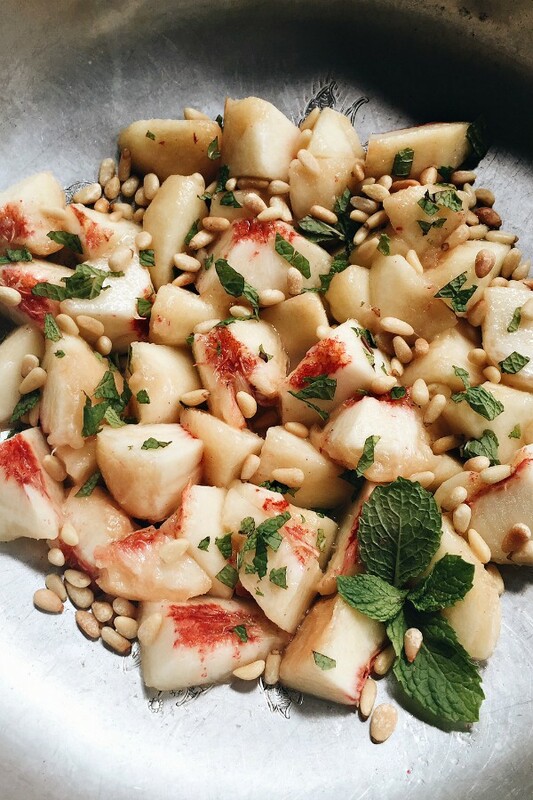 Sprinkle fresh mint and pine nuts on top of the peaches; serve! Yum. Sounds wonderful. One of our local markets just had Mrs. Meyers products 2/$5 last week so I picked up a yummy apple smelling hand soap and I think honeysuckle dish soap.